Paint your home in light. LED Strip lets you decorate with light, and it lets you fill a room with light. A strip of high-quality LEDs, LED Strip is built upon the lighting expertise and technology that built Aeotec’s LED Bulb. Powered by Z-Wave, LED Strip allows your home to be selectively bathed in any one of the 16 million light colours that it offers.Schedule them, automate them, dim them, responsively control them. 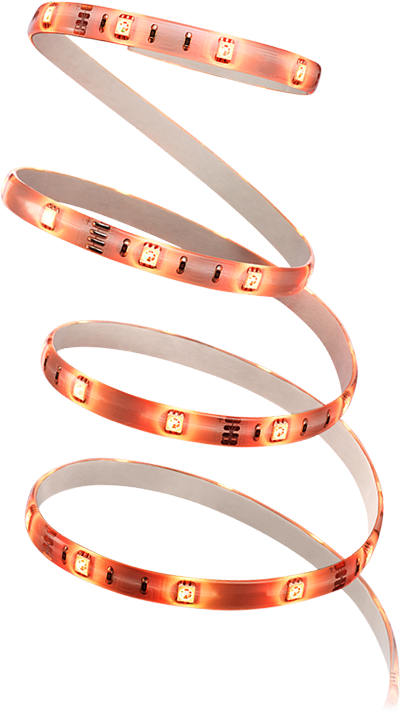 LED Strip takes Z-Wave lighting beyond the lightbulb.